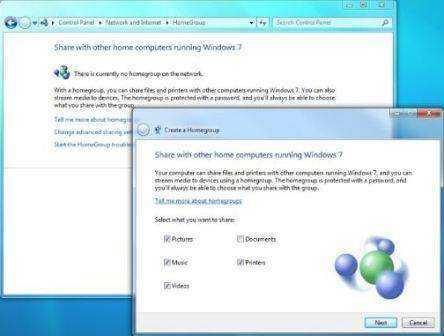 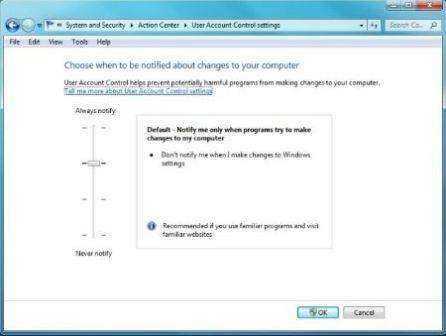 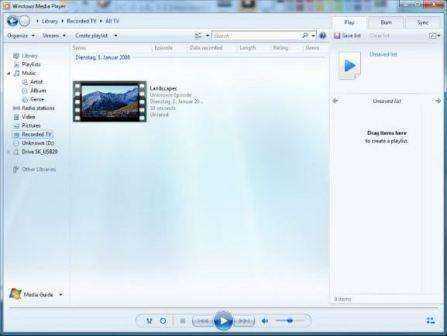 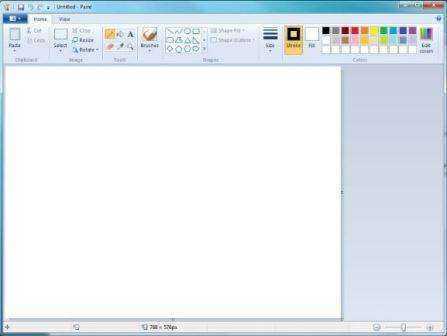 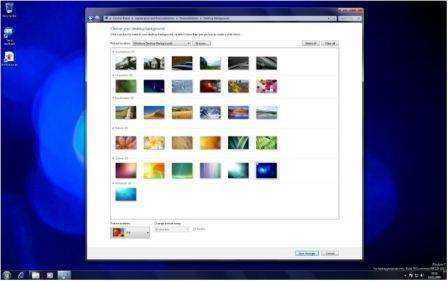 More and more screenshots for newer builds of Windows 7 has been published online. 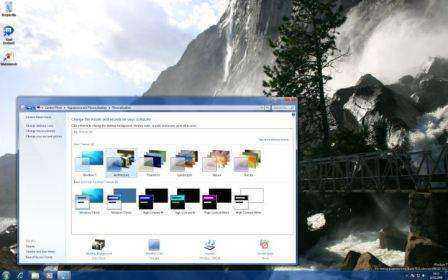 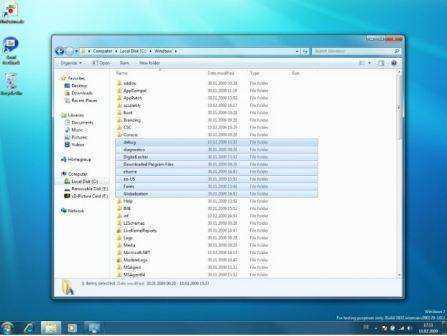 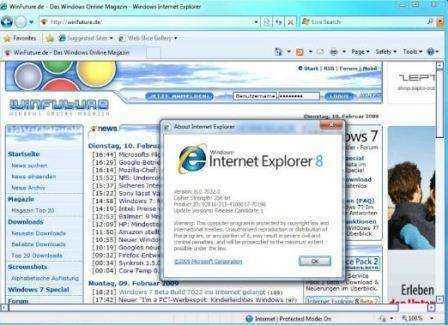 After the Windows 7 Build 7022 ISO been leaked to The latest build version of Windows 7 with its sceenshots leaked to Internet is 64-bit (x64) Enterprise edition of Windows 7 Build 7032, published by WinFuture.de. 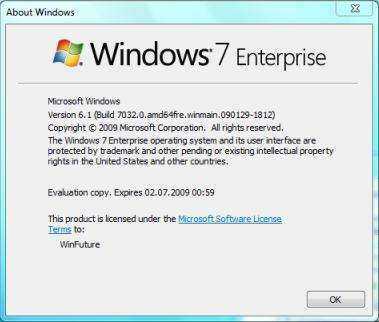 The Windows 7 Build 7032 has the build tag number of 6.1.7032.0.winmain.090129-1812. 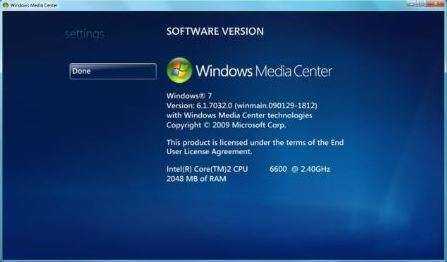 Thus, the Windows 7 Build 7032 is compiled on January 29th, 2009 at 18:12 PM, 14 days later than build 7022 which has the build number of 7022.winmain.090115-1850, and was compiled on January 15th, 2009, and obviously much later than official Windows 7 Beta released to public by Microsoft. 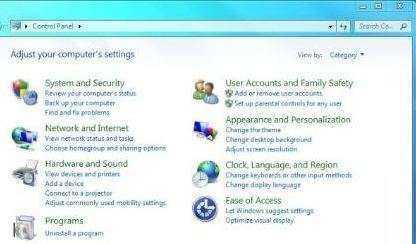 From the screenshots, there is nothing much change from the user interface point of view. 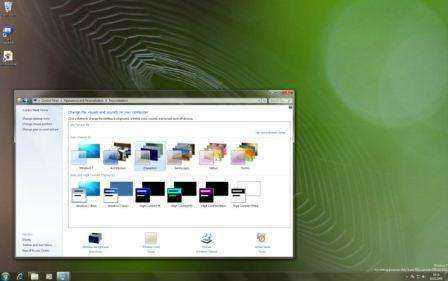 However, it’s said to have included two new themes named “Architectures” and “Characters” and 6 new wallpapers.